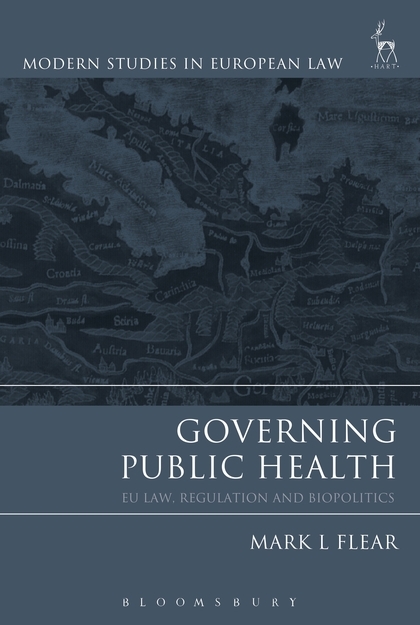 This book contributes towards EU studies and the growing discourse on law and public health. It uses the EU's governance of public health as a lens through which to explore questions of legal competence and its development through policy and concrete techniques, processes and practices, risk and security, human rights and bioethics, accountability and legitimacy, democracy and citizenship, and the nature, essence and 'future trajectory' of the European integration project. These issues are explored first by situating the EU's public health strategy within the overarching architecture of governance and subsequently by examining its operationalisation in relation to the key public health problems of cancer, HIV/AIDS and pandemic planning. The book argues that the centrality and valorisation of scientific and technical knowledge and expertise in the EU's risk-based governance means that citizen participation in decision-making is largely marginalised and underdeveloped – and that this must change if public health and the quality, accountability and legitimacy of EU governance and its regulation are to be improved. 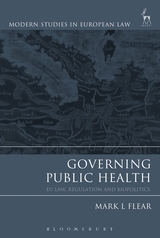 Subsequently the book goes on to argue that the legitimating discourses of ethics and human rights, and the developing notion of EU (supra-)stewardship responsibility, can help to highlight the normative dimensions of governance and its interventions in public health. These discourses and dimensions provide openings and possibilities for citizens to power 'technologies of participation' and contribute important supplementary knowledge to decision-making. Mark L Flear is a Lecturer in Law at Queen's University, Belfast.